Catanduanes Forum - the Online Edition. ANTI-FICELCO. Rene Abella (R), PWEE! chair, leads Catandunganons in protesting what he refers to as Ficelco's inefficient service, in this first rally against the cooperative last year - which was the very reason for PWEE! 's being - as Gov. Jun Verceles (2nd, R) listens to the plight of power consumers in the province. 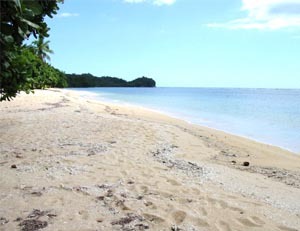 • Lalaki, binoga ng "sumpak"
CATANDUANES is another Boracay, perhaps even better, according to GMA-7's Probe Team, which featured our various tourist destinations here in the TV program's Lonely Pinoy portion last November 11. PLAYING SANTA. When not worrying about other people's concerns, PWEE! 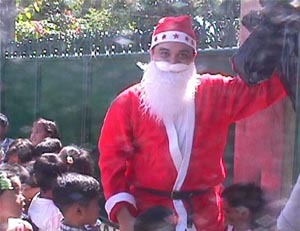 prexy Rene Abella can be many other things, like Santa during Christmas, for example, as in this file photo taken last December 2002. Daan-daang konsumidores ng First Catanduanes Electric Cooperative (Ficelco) ang nag-rally nitong nakaraang Martes, Nobyembre 18, dahil sa pagtaas ng singil nito sa kuryente. Ang rally ay inorganisa at pinangunahan ng People's War Vs Endless Economic Injustices (PWEE!). Kanilang binatikos ang anila ay unti-unting pagpatay ng manihamiento ng Ficelco sa mga taga-Catanduanes dahil sa sobrang taas ng presyo ng kuryente na sinisingil ng nasabing kooperatiba. Dalawang grupo ng Philippine Guardians Brotherhood Inc. (PGBI) sa munisipyo ng Virac ang kapwa nagsasabing sila ang tunay na nirerekognisa ng PGBI national office bilang legal na tsapter rito. Ang isang grupo ay pinangungunahan ni Maj. Vicente Borre III (Res), ang kasalukuyang Provincial Jail Warden, samantalang ang isa pa ay nasa pamumuno naman ni Engr. Gregorio de la Cruz. THIS SMART CELLSITE in Mt. 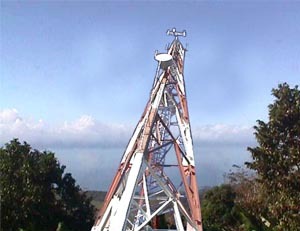 Sumuso, San Andres, which towers over Barangay Lictin, is responsible for cellular service in the municipality and in some parts of Virac. It has also become a favorite site for nature lovers and exercise buffs alike and for those who have the lungs to make it to the top. * Payment of at least three (3) monthly contributions within the immediate six (6) months prior to confinement. For self-employed members, the payment for the immediate quarter prior to the month of confinement is required. * Confinement in PhilHealth-accredited hospital for not less than 24 hours or one day, due to an illness or injury requiring hospitalization. Minor surgical procedures and chemotherapy, radiotherapy, hemodialysis, cataract extraction, and a special diagnostic package (for qualified indigent members in select areas in the Philippines) are also compensable even on an outpatient basis.